Mix bouillon cubes with boiling water in a large saucepan, and stir until bouillon has dissolved. Add chunks of zucchini to bouillon and simmer until tender, but don’t overcook. Toward the end of cooking, add dill weed and curry powder. 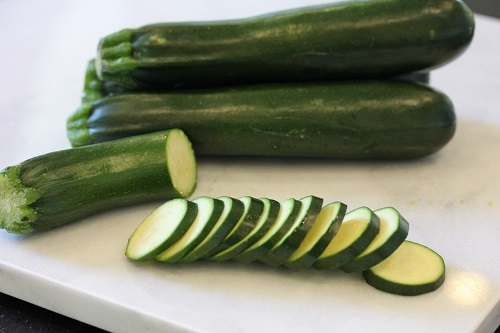 Allow zucchini mixture to cool a bit and place it, along with cream cheese cut into pieces, in food processor or blender. Reheat if serving hot, or chill in refrigerator for two to three hours if serving cold. Salt and pepper to taste. Garnish with fresh dill and or lemon slice before serving. Any summer squash may be used as a vegetable base for this recipe, as well as cucumbers, potatoes, asparagus, broccoli, green beans, wax beans, or Jerusalem artichokes. If appropriate, certain beans should be “stringed” before cooking.